Event planners from international associations discussed how to attract delegates and engage them, with personalisation and customer service emerging as key elements. The panel session debate took place this morning (1 November), as part of Complete Qatar, C&IT and Qatar Tourism Authority's four-day fam trip, taking place this week in Doha. Agnes Gomori, UK co-ordinator events & marketing at Urban Land Institute, said that the organisation is very strong when it comes to following up on events and that personolisation is key. "We don't just send emails for feedback - we ensure they are personalised and segmented based on who they are going to. For example, we will mention upcoming events that are relevant to them and which they may not be aware of, even though they are signed up to our newsletter." Gomori, who took up her role at the association two years ago, says that increased personalistion has helped contribute to a rise in UK membership. The number of events taking place globally has also increased, from around 20-25 to between 70 and 75 on an annual basis. Leah Carter, global head of events at the Association of MBAs, said that customer service was vital to both attract attendees and to ensure high levels of delegate satisfaction. "We are a small team - we can't focus on glitz and glamour so we have to ensure our customer service goes above and beyond what our delegates expect," she said. "We don't have big budgets so we treat our delegates as we would expect to be treated if we were at an event." Both Gomori and Carter also agreed that the choice of conference destination is becoming an increasingly important element for them. The Association of MBAs has opted to host its Global Conference 2017 in the Middle East for the first time, in Dubai, having held the event in Europe in recent years. Carter said her delegates are looking for exciting and inspiring destinations. "We felt that the spaces we have been using to date have all been very similar and our delegates are becoming too used to it, whereas Dubai offers a different feel, with lots of new archictecture," she said. "We try and use the destination as much as possible to make the event attractive - our delegates are not just attending a conference but are also experiencing a destination." 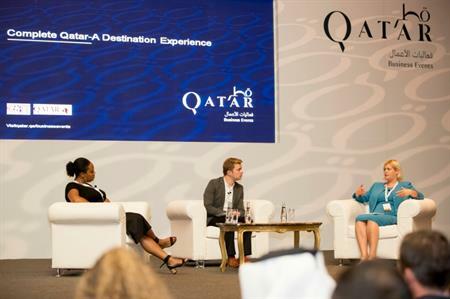 Complete Qatar combines a two-day tour of the destination to allow UK agency and association buyers to experience a range of C&I highlights, followed by two days of one-to-one meetings and educational seminars. Other topics to be debated will include social media, technology and doing business in the Middle East.